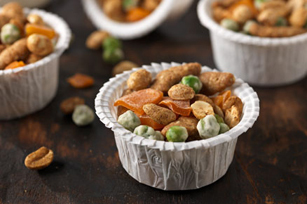 We aren't kidding about this snack mix's spiciness—wasabi peas and spicy peanuts pack a punch! Luckily, sweet dried mango pieces are there for contrast. Snack mix can be stored at room temperature for up to 3 days.